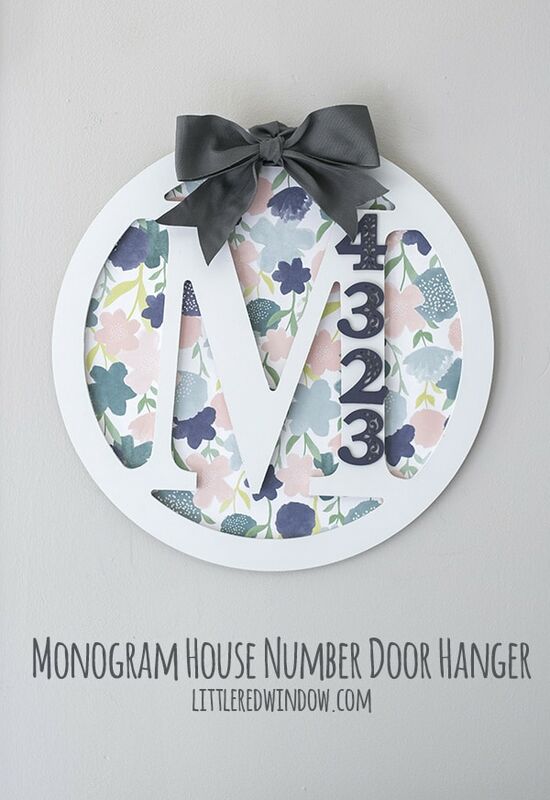 Customize this adorable door hanger for your front door with your monogram and house number! Well, you’d think it wouldn’t have take me this long to figure this out, I mean I have a graduate degree in design for Pete’s sake. It’s not like I’m new to the creative process. But man, sometimes I decide to do a project and think I’ll just figure it out as I go along, or I’ll make a random supply I have in my closet work for something and you guys, it NEVER goes well. It takes forever, I get frustrated, I hate it when it’s finished. If I don’t start out with a clear design concept, and a vision of what I want it look like in my head, I end up hating it. It goes even better if I have a decent sketch beforehand. Then it’s just execution vs. noodling around trying to figure it out as I go. And especially now with two small children, I don’t have time to be creating aimlessly. Which actually…now that I think about it, completely makes sense with my type A, plan-ahead-and-be-prepared personality. Huh. Guess I’m doing a little self-actualization along with today’s post, lol! 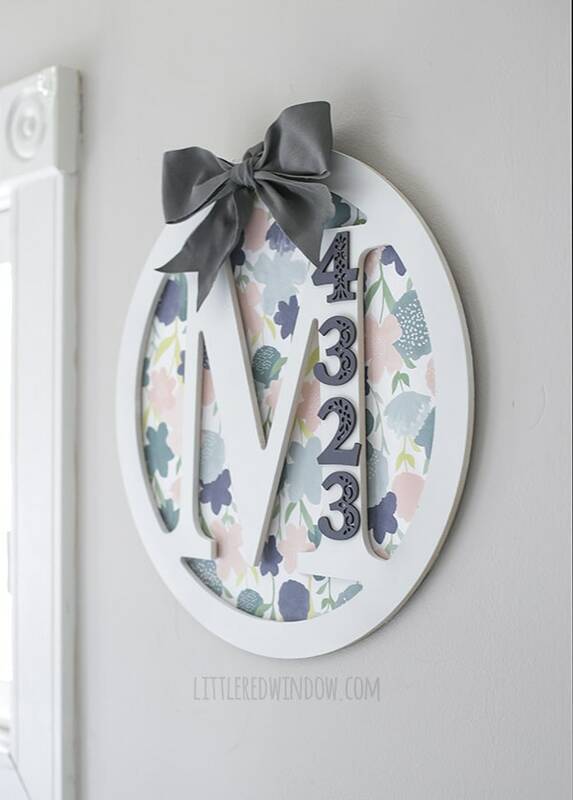 Anyway, that’s exactly what happened with this cute monogram house number door hanger. I knew what I was going to make but not how I wanted it to look. I didn’t sit down and sketch, I poked around aimlessly in my closet and used supplies I already had but weren’t that great. It was a disaster and I hated it when it was done. So then, the next time I was at the craft store, I bought supplies specifically for this door hanger, and guess what?! It’s soooo much better! But anyway, to get back to the point of the post, we live in a historic house and our house number is very difficult to see from the street. It is not uncommon to see delivery people walking around looking confused on the sidewalk (but not the amazon delivery people, they’re familiar with our house, cough, cough). 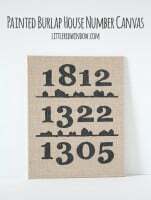 So, I was looking for a way to make our house number easier to see but not make a permanent change because we’re in a historic district and there are rules. 1 . 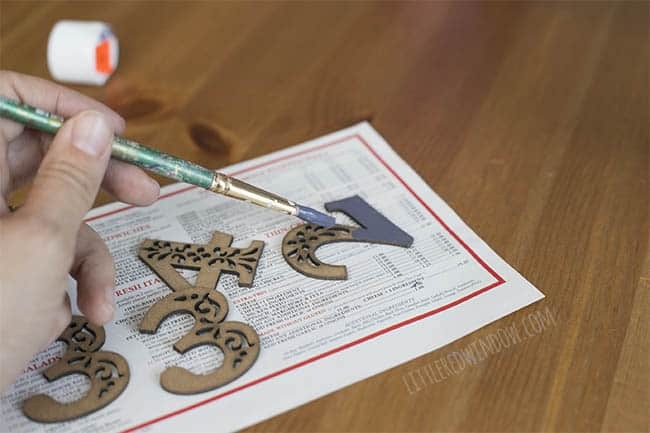 First I painted my monogram door hanger white. I actually used spray paint for this so it was a little faster but acrylic paint is fine too! 2. 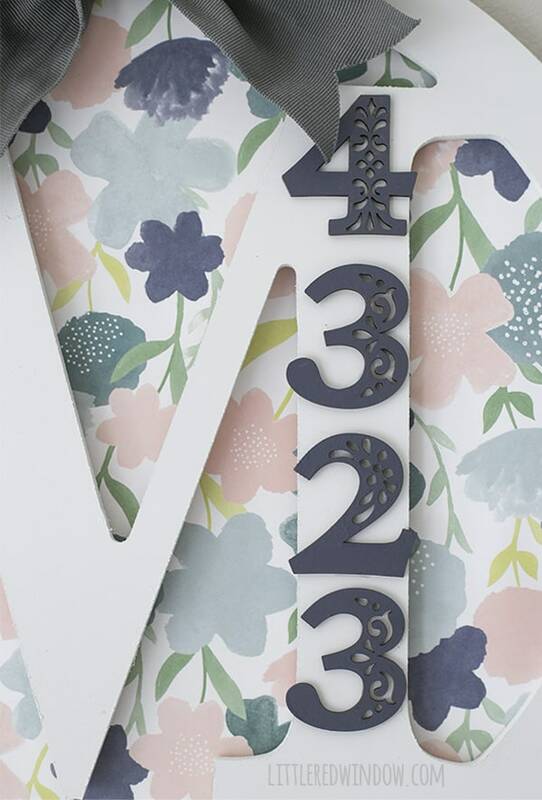 Then I painted my little wood numbers. I was also going to spray paint those this lovely shade of dark teal, but then I took them outside and discovered that this can of paint just didn’t spray. You’d push the button and nothing happened. Not even a hiss of air. And that was extra annoying because I have to drive kind of far to get good spray paint since they don’t sell spray paint at all within the city of Chicago. So I painted those by hand too. Sigh. 3. 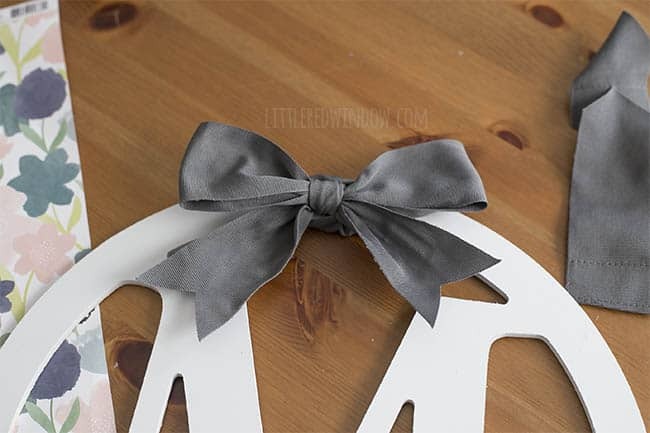 Tie a bow at the top of your hanger with the ribbon before you add the backing. 4. 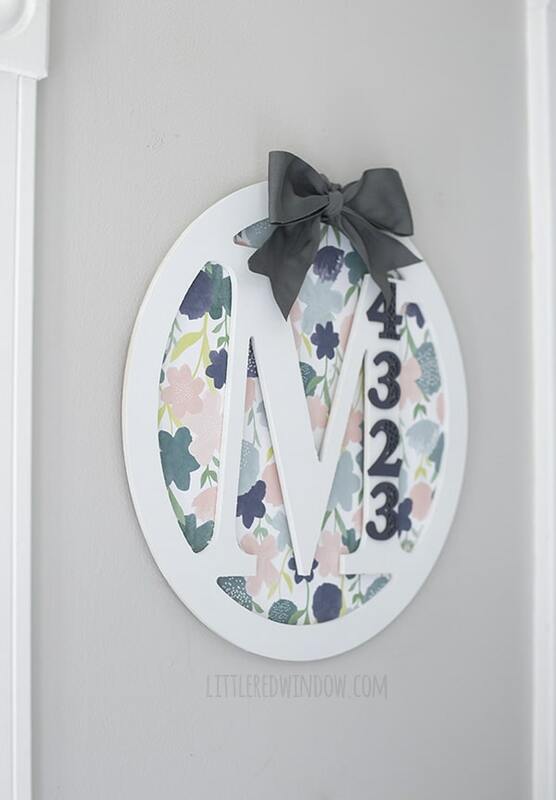 Then glue scrapbook paper to the back of your house number door hanger and trim off any excess. 5. 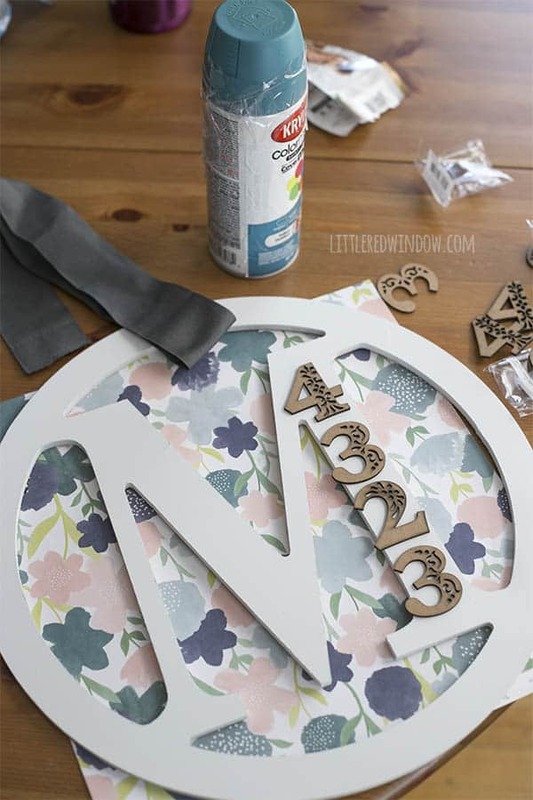 Finally glue your little numbers to the front of your door hanger. And that’s it! 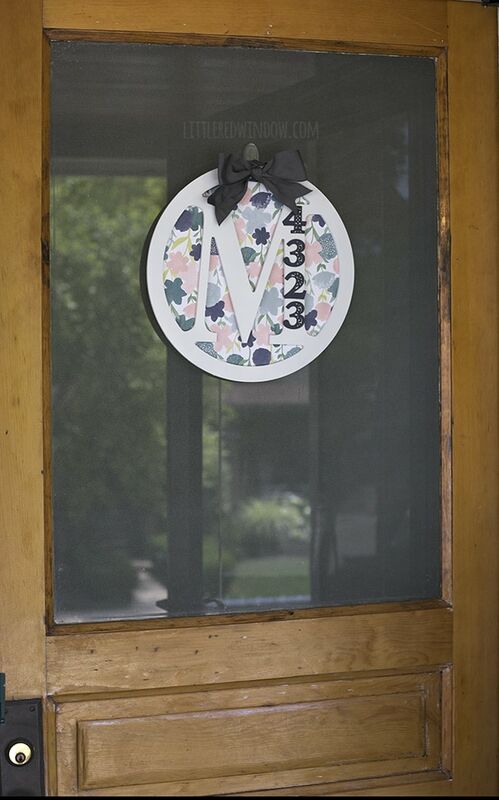 Hang it up on your front door and be happy that people can now find your house more easily!